With "Mr. Tambourine Man," their 1965 Number One debut, the Byrds electrified the words and music of Bob Dylan and introduced his revolutionary songwriting to the pop world. It was the beginning of a remarkable partnership. The Byrds were rock & roll's most inventive and successful interpreters of Dylan's songs, transforming classics as well as obscure jewels. 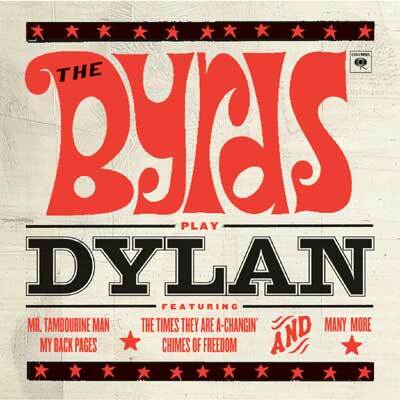 This definitive collection of the Byrds' Dylan covers includes hit versions of "My Back Pages" and "All I Really Want to Do" as well as studio and concert rarities. It is the sound of two great minds at work, in harmony. Also includes the 1990 reunion track "Paths Of Victory"
Original release: Turn! Turn! Turn!